Coming from a large musical family, with active musical parents and grandparents on both sides of the family and whose many siblings all played at least 2 instruments each, you could say Ieuan was born into music! As well choral singing, he learned piano, recorder, flute and trumpet before settling on the horn, aged twelve, as his main instrument. As a teenager in Manchester he was awarded a scholarship to study with Ralph Hall of the Hallé Orchestra, before attending the Welsh College of Music and Drama in Cardiff and then completing his teaching qualifications at Bretton Hall College of Education, in Yorkshire. Ieuan has had a successful career as a teacher of horn and brass in a wide range of schools in Dorset and has been director of both Christchurch and Bournemouth Music Centres. He has a wide experience of conducting ensembles of all styles, ages and abilities, including string and symphony orchestras, various brass, wind & jazz bands, choirs and percussion ensembles. 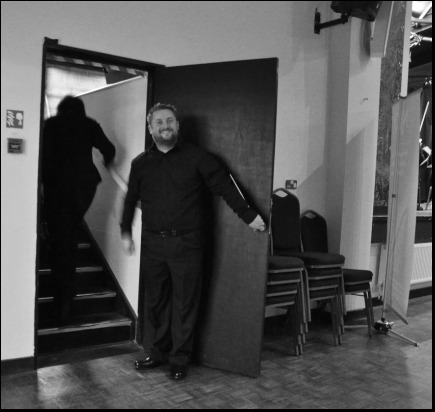 As variously director of both Christchurch and Bournemouth Music Centres and Deputy Head of Dorset Music Service for many years he has founded and developed a number of ensembles, and been both organiser & team leader of summer schools, concerts and multi discipline musical events in major venues. Lee started playing the double bass at the age of eight and went on to study double bass and conducting at the Royal Welsh College of Music and Drama. As a freelance bass player, he has performed with orchestras and ensembles across the country and aboard as well as recording for BBC radio and Dutch television. Lee is currently Musical Director for Theatre 2000, BBLOC , and Principal Conductor of the Westbourne Orchestra, New Forest Orchestra and Bournemouth and Dorset Youth Orchestras. He also guest conducts Bournemouth University Orchestra and the National Scout and Guide Symphony Orchestra. Lee is also tour director for Ealing Youth Orchestra taking them annually across Europe giving concerts in many major towns and cities. Recent repertoire has included Rachmaninov’s 2nd Symphony and choral works such as Faure’s Requiem, Carmina Burana and Beethoven’s Ninth Symphony. A champion of youth music, Lee is a Assistant Head of the Ealing Music Service , the lead organisation for the Ealing Music Hub which operates across several London Boroughs.